Well, the Chitauri were the alien invaders that Iron Man and his buddies fought in the movie The Avengers. 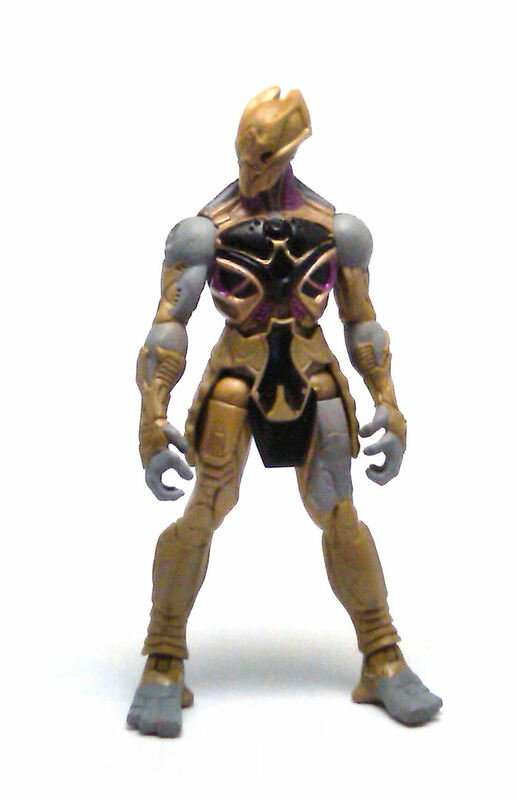 Since this was an alien race developed for the movie, their design was kept in secret to the last minute and were not included in the first waves of figures by Hasbro, which led to some speculation as if the alien baddies in the movie would be the Skrulls, since there was a figure produced and released about the same time as the movie-inspired heroes started to hit stores. 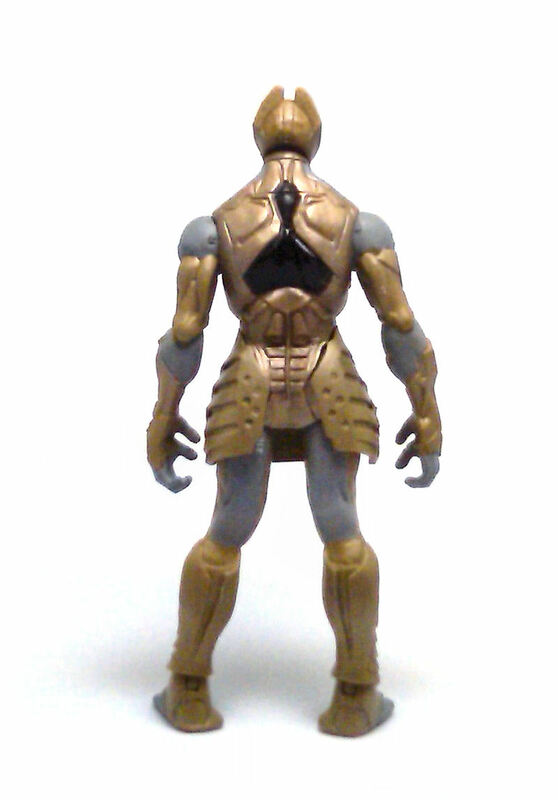 So, with all that leading time, one would expect that Hasbro would come up with a much better product than this Cosmic Axe Chitauri, but it seems that was expecting too much. The alien design itself is not bad and the sculpted detail is actually pretty good. The figure does even have a fairly interesting color scheme which, even though it isn’t screen accurate, is still quite striking. While calling the neck a ball-joint is correct from a technical point of view, it functions as a simple swivel joint because the post goes too deep into the head to allow any tilting in any direction. 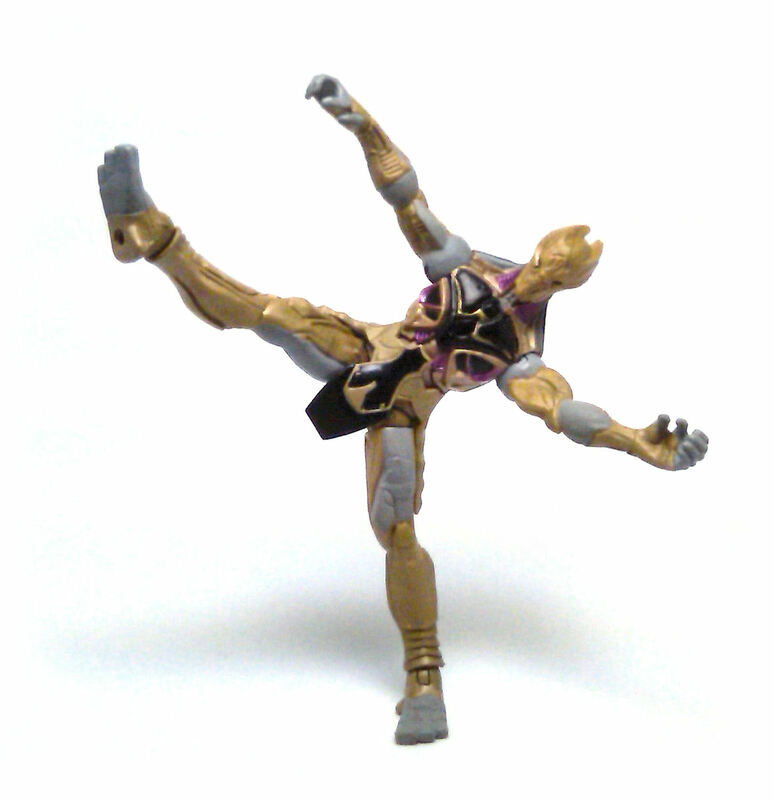 But the really annoying fact is that the lack of knees and elbow joints render all of the other joints next to useless. About the only thing Hasbro did right with this figure was the paint application. Not that this was a very complex paint scheme to begin with, but I concede that all of the colors fall in their respective places without slopping or running into adjacent areas. 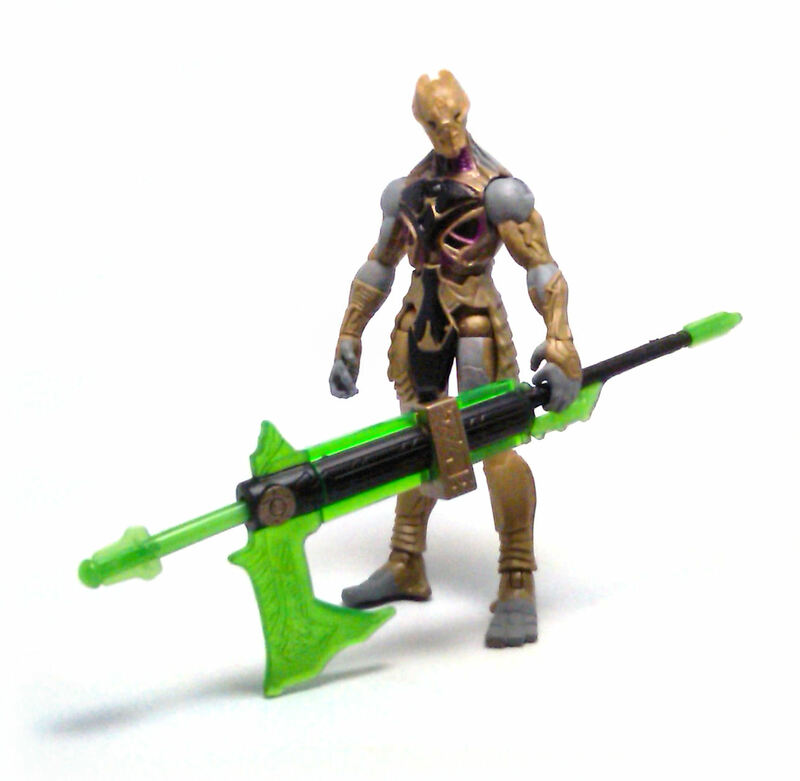 This Chitauri warrior comes with a “Cosmic Axe”, a projectile launching contraption molded in translucent green plastic and decorated with bright gold paint applications. 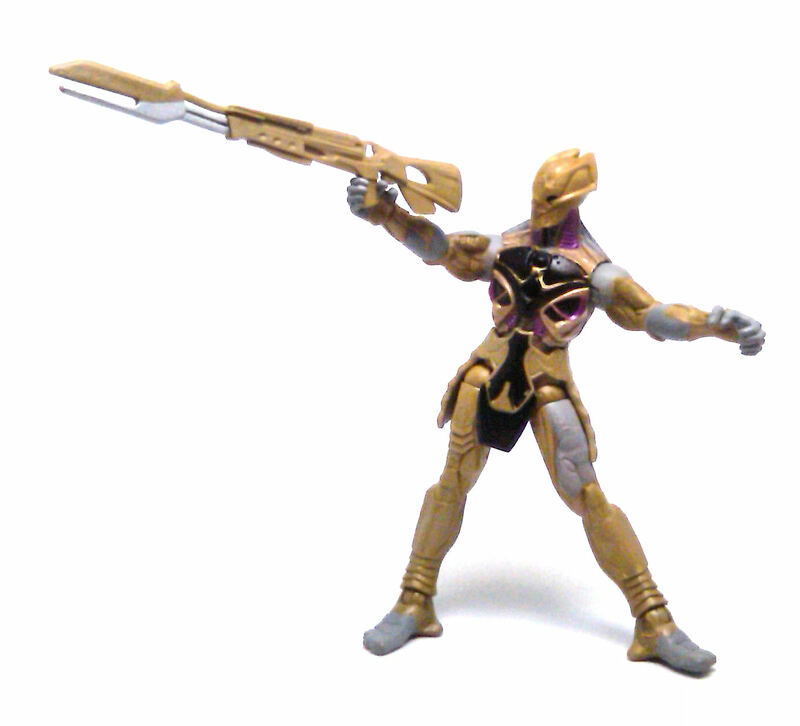 The other weapon included with this figure is a plain-looking alien rifle molded in dull gold rubber, with only the bayonet part painted silver. The bottom line is that this figure is not good for anything except standing there. He can’t even hold his included weapons in any natural looking pose, which is even more infuriating because in the packaging, Hasbro doctored the picture to make it look like he could bend the elbows to hold his “Cosmic Axe”. In the end, this is a barely average toy that should not find its way into anybody’s collection unless it can be had for under a dollar. For being part of the big battle of the movie, I really don’t have a good sense of what these guys really look like. I might get the deluxe one if I see him, but I’ve passed so far on the single card. After reading, I see I made the right choice. I think they developed this mold specifically to be the throw-away rider in the Chariot Deluxe set, but then they could not develop a better figure in time for the single card release.